I was surfing the internet taking full advantage of the rare occurrence of fast internet and "Stumbledupon" an article about energy vortexes. It was an article mostly about Sedona, Arizona but it also mentioned other places such as Machu Picchu, the Great Pyramids and even the negative energy vortex of the Bermuda Triangle. I tend to be a bit skeptical on this kind of stuff, but I do agree these are amazing places that do feel especially good to be in. 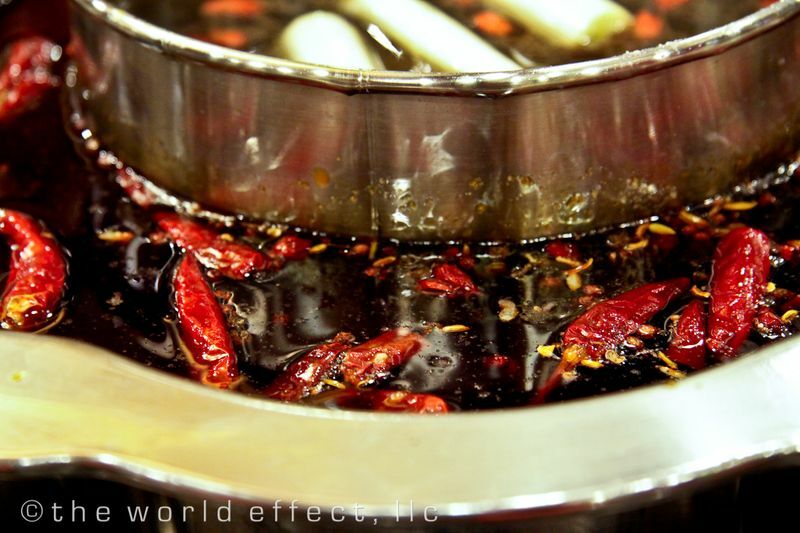 We were in Chengdu in the Sichuan province of China and I found that all the food energy in the universe had aligned, magnified itself, and was whirling above a pot of steaming oil filled with chili peppers. I can now compare how good I was feeling while gazing at Machu Picchu to boiling a piece of sirloin steak in a hotpot in Chengdu. Hence, food vortex. 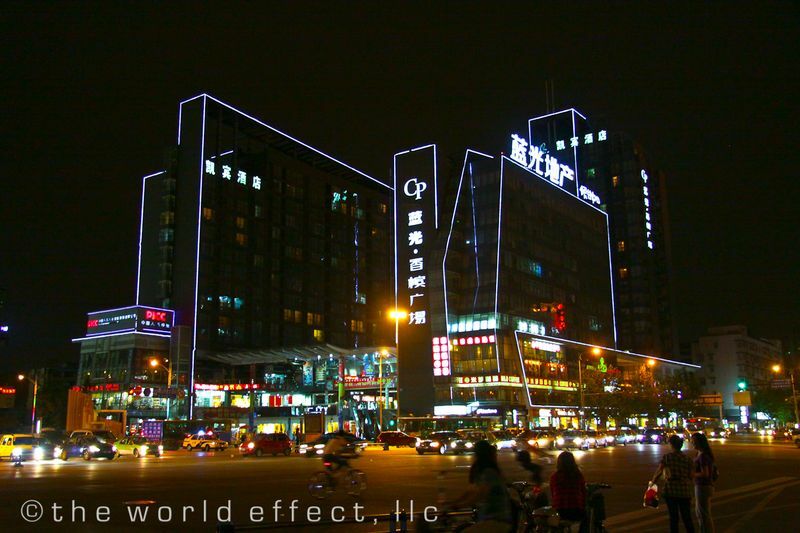 Shichuan is world famous for its spicy food. I have always loved spicy food, I come from a family who loves spicy food, I have a heavy hand with hot sauce bottles and I am currently converting my wife into a spice lover with a secret regimented program of spice tolerance. 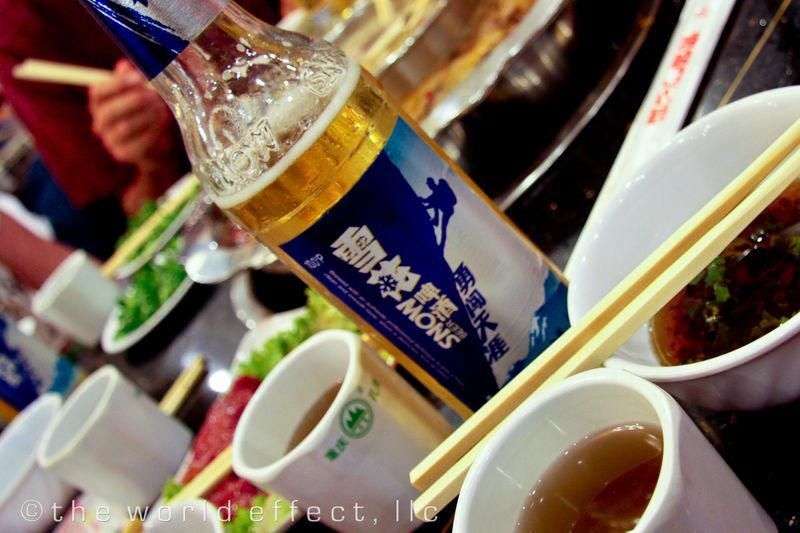 My theory of the secret to Shichuan food is defining spiciness. What does spiciness mean? It can mean many things. Kind of like the legend that says the Inuits have hundreds of words for snow. (It's just a myth, I Googled that too). 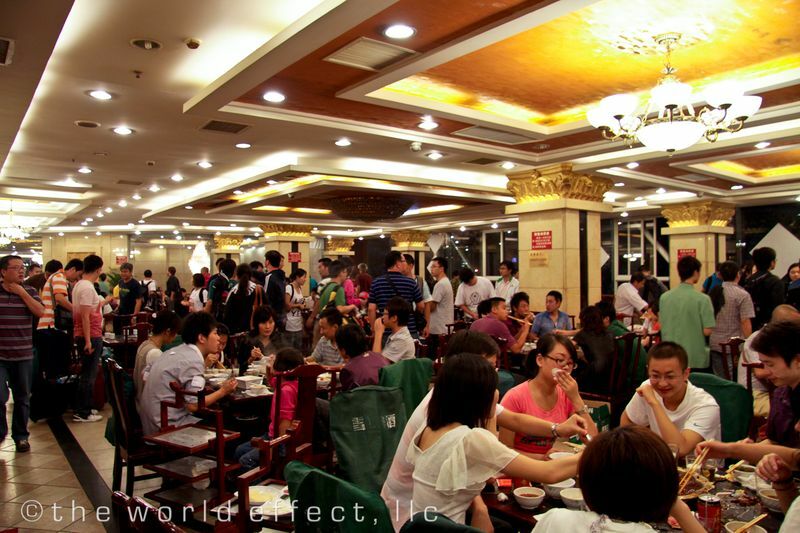 I think the people of Sichuan understand there are hundreds of types of spiciness. The kind that you feel in your sinuses, the kind that makes you sweat, the kind that only hits you as an aftertaste, the kind that burns your tongue, and a new one for me, the kind that makes your lips numb. This last sentence sounds like torture, but it's really delicious. 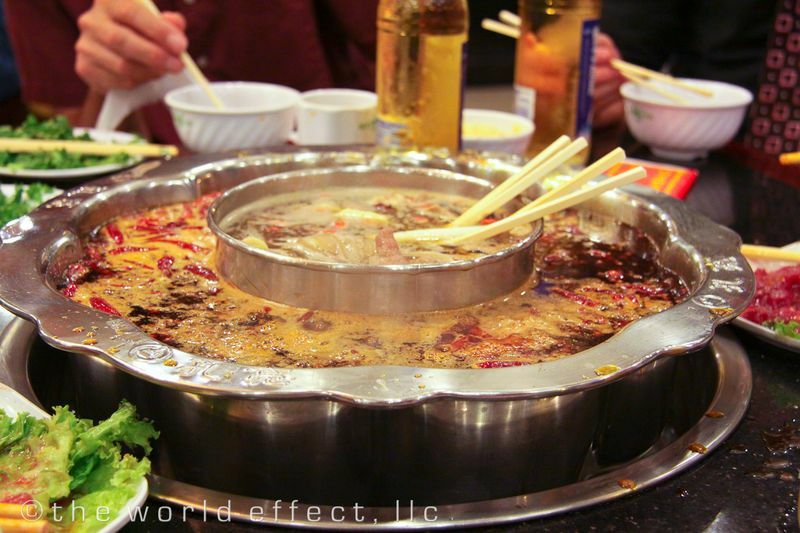 The Sichuanese know how to use ingredients that can create different combinations of spicy sensatons in their food. We have started some lists with food and other little tidbits on our lists page. What are your Food Vortexes? We'd love to hear about them and better yet, try them! Please comment below, tweet and stumble… we'd love to hear what were missing. 8 Responses to Where’s your food vortex? Damn! It’s only 8am and I’m drooling for some spicy goodness! I 2nd the taco cart in Mexico, that’s good eats. My lunch food vortex in Boulder: Salvaggio’s Prime rib sub with all the veg and extra horse radish…. The food vortex makes total sense. That explains the best steak ever on the beach in Anguilla – Check out the Barrel Stay if/when you make it there. I agree there is some serious vortexing going on in Bangkok. And Mom’s house at Thanksgiving. Enjoy the cranberry sauce, Beau! Oh man, I had a few face-melting bites for you. Salvaggio’s sounds amazing right now. Horseradish, one of the elements of a spicy periodic chart. I just looked up Barrel Stay, that looks amazing! Perhaps the steak alone is negating the negative energy of the Bermuda Triangle. That’s a good steak. This post makes me hungry! I love your new coined term too. I would say that India really did just rock my world when I was there. My favorite dish of the whole trip was an tomato aubergine curry in Udaipur, India! That’s my best food vortex! Sounds Delicious! If you liked that you would probably like Istanbul’s grilled Aubergine salad with tomatoes and yogurt…same main ingredients, totally different. In Ragasthan, we really like the Dum Aloo in Cashew gravy. Thanks for sharing your food vortex, Shannon! Born appetite to view this pics.